Flat Lay Of Bottle Of Water, Sneakers And Dumbbells On Yellow Background Minimal Fitness Creative Concept. Fotos, Retratos, Imágenes Y Fotografía De Archivo Libres De Derecho. Image 119040762. 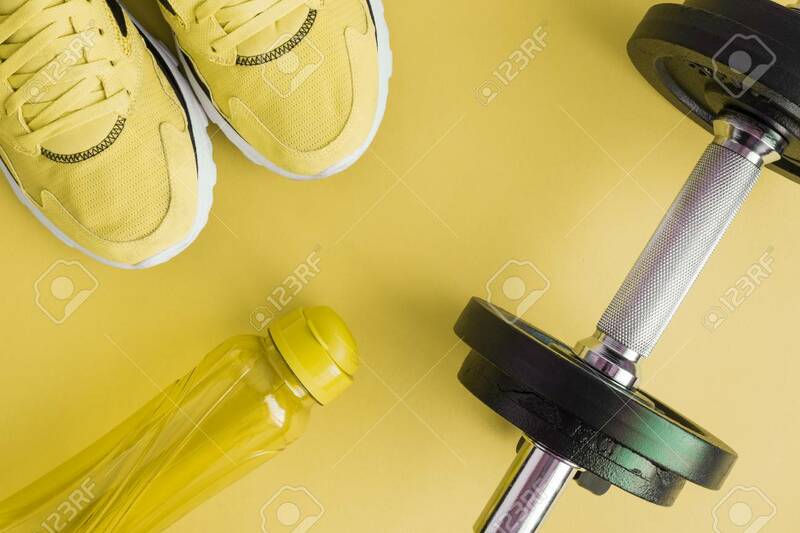 Foto de archivo - Flat lay of bottle of water, sneakers and dumbbells on yellow background minimal fitness creative concept. Flat lay of bottle of water, sneakers and dumbbells on yellow background minimal fitness creative concept.